This is an analysis of the American Revolutionary generation's attempt to create a national history that would justify the Revolution and develop a sense of nationhood. 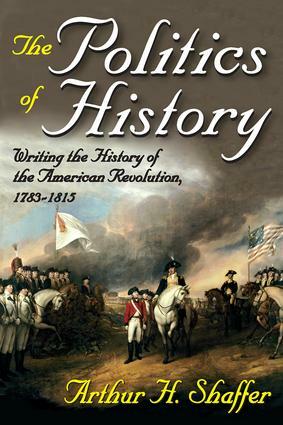 Shaffer pursues a number of themes and establishes a connection between the historians' republican ideology, political concerns and outlook, and the precise ways in which they interpreted American history. He also includes an analysis of their background, education, profession, political persuasion, personal ambitions and circumstances, and attitudes toward the problem of union during the 1780s. The writings here offer unusual insights into the mind of the Revolutionary generation. The histories produced during the early national period represent the beginnings of a genre of writing new to America, one characterized by the subjugation of history to the service of nationalism. It is this element"nationalism"that gave this history its flavor, made possible its achievement, saddled it with difficulties, and, although unintentionally, produced a tone and emphasis different from that of the Enlightenment. The contribution of the Revolutionary generation of historians to the public identity represents an important aspect of the intellectual history of the early national period. With all their frequent vagueness and imprecision of formulation, almost incantatory repetitiousness, and patriotic sentimentality, the works of the first national generation of historians comprise a revealing effort to come to grips with the meaning of the Revolution and nationhood. This striving charted much of the course that American historiography was to travel thereafter.